Bieber received the Karma as an 18 year old birthday present in the Spring. "Reckless Driving" at speeds reaching 100 mph was being reported by the police as to why Bieber was being pulled over. Bieber indicated that he was being followed in the freeway incident by upwards of 5Paparazzi individuals. The 2012 Fisker Karma has a shiny mirror type of chrome body along with multi colored LED headlamps. Did Bieber catch his own speed fever? 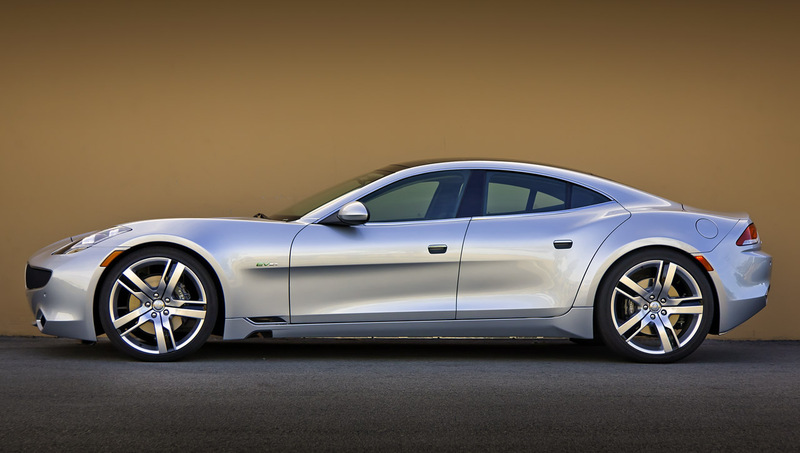 Further pictures and details of the Fisker Karma are shown herein for your enjoyment! What you see is the 2012 Mercedes-Benz CL Grand Edition which used to recognize as the S-Class coupe and the German three-pointed automaker changed the name since the 1952 where they released the 300S. This year, the SL-Class is celebrating the 60-year of milestone and to commemorate the event, Mercedes-Benz introduced the 2012 CL Grand Edition luxury coupe which we think its more like coupe saloon as the length of the vehicle is beyond normal. So, what’s this luxury and long German vehicle has to offer? Well, based on the CL550 or CL600 which according to autoblog.com is “monumental”, the 2012 Mercedes-Benz CL Grand Edition filled with hand-finished cosmetic parts including the exclusive paints and leathers, AMG Sports, and 20-inch wheels. We don’t know if this luxury coupe is going for sale at US market, but what we know is that it is going to be in limited edition with price tag sets at €119,773.50 which equals to $157,300. Now, what makes the 2012 CL Grand Edition luxury coupe special is that customers are given the privilege to choose among three paint finishes of platinum black metallic, mocha black metallic, and magno cashmere white. The sporty look is courtesy of none other than the AMG Sports package which consists of front and rear aprons with unique side sill panels. Still not satisfied with the amount of money you spend on? Okay, on the interior, the 2012 Mercedes-Benz CL Grand Edition has three stunning and luxury leather colors such as the designo aniline leather Armagnac, design aniline leather deep black, and lighter design aniline leather porcelain. You can have the full-range of CL trim finishes which includes the black ash and high-gloss burr walnut. Porsche is currently on an offensive move to boost up the sales of the 2012 model year of 911. But guess what, the German carmaker is also developing the next generation and we spotted the prototype of the 2013 Porsche 911 Turbo for winter test drive. The white snow and the heavily camouflage sheet that covers up the sportscar is pretty much awesome combination. The 2012 Porsche 911 is already on sale for the Carrera and the Carrera S, but what we have here is the Turbo version and might be revealed soon. The 2013 Porsche 911 Turbo might be arrived with turbo system with irresistible looking and design and maybe – just maybe, folks – carries AWD system. The reason why we refer this as Turbo sportscar is because autoevolution.com hinted the specific bumpers and wing which only apply for the aforementioned model. For comparison, the ordinary 911 has mirrors which moved from next to the A-pillar to the upper door; and the scoops on the side which responsible to feed the engine with air is a bit move back and up a little. Furthermore, our aforementioned source also predicted that the 2013 911 Turbo sportscar could be powered by none other than the 3.6L V6 engine with twin-turbo. But we don’t know whether that is the engine option or Porsche is currently developing new engine as the trend on the automotive world right now is downsizing the existing engine for other models. If the German carmaker sticks to the V6, it means that the sportscar could provide total power output around 530 horsepower, just the same with the current 911 Turbo S.